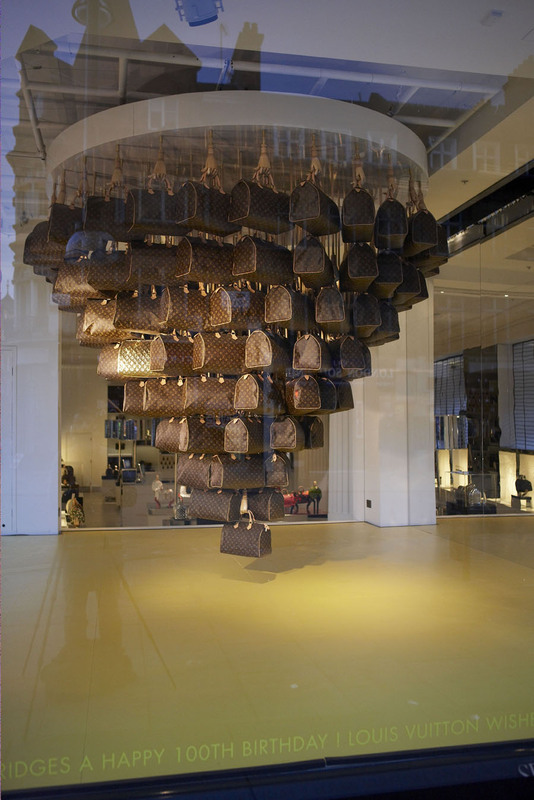 For the 100th anniversary of Selfridges London, Louis Vuitton occupied the iconic Wonder room and its five adjacent windows, to open a Pop up store based on their iconic product the ‘Speedy’. 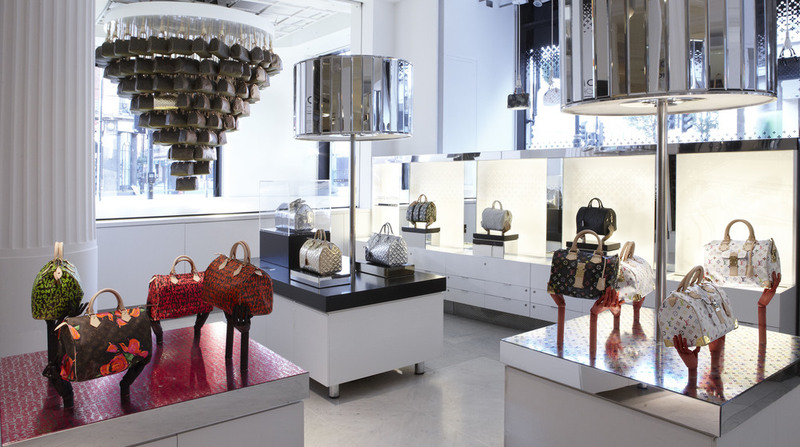 This was the first time that the brand had a selling space outside of one of its own retail stores. 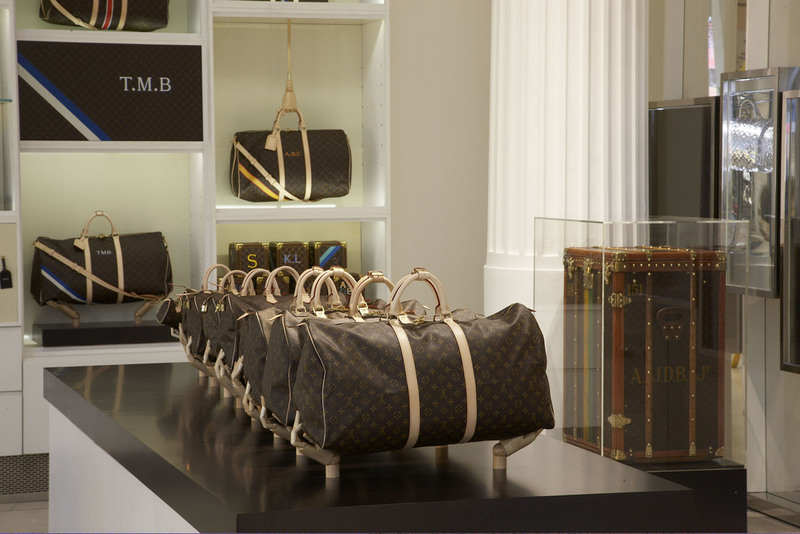 Whilst maintaining the existing furniture, I created a space that explored every aspect of this classic product, from personalisation, limited editions and artist collaborations to its origins and heritage. 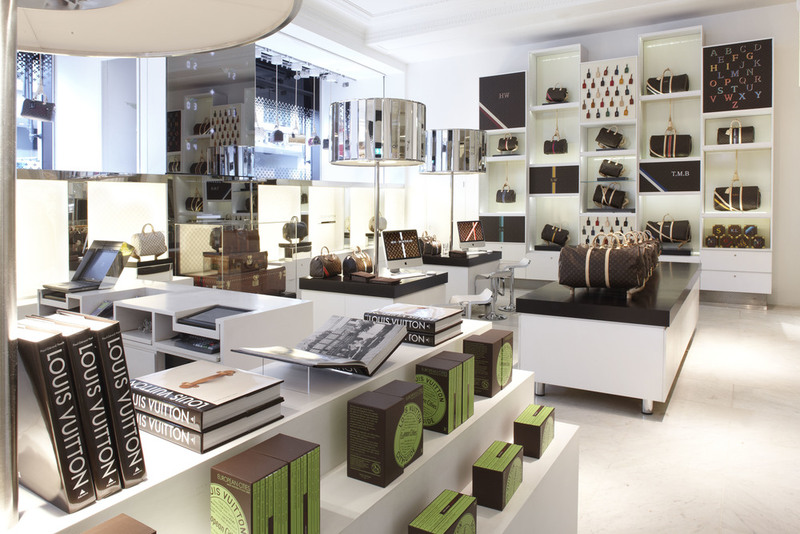 Wooden hands were used to display all the products, and became the element that linked the different zones together. 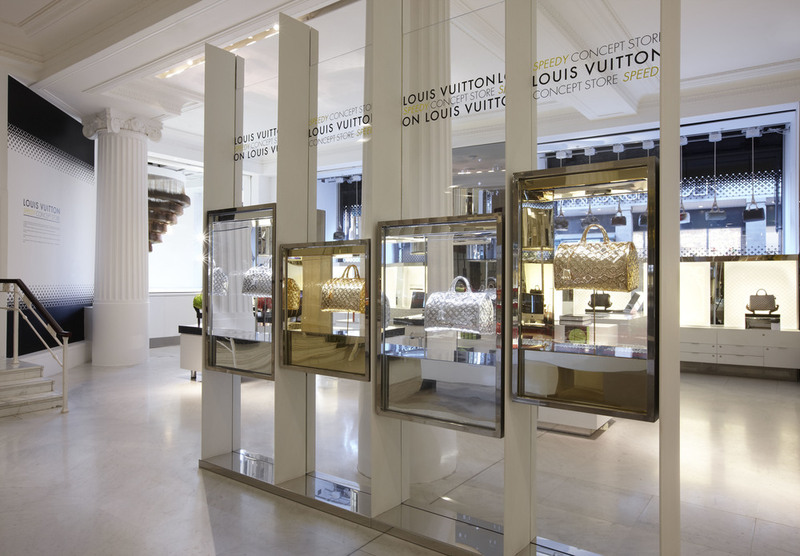 The large corner window displayed a sculptural Speedy chandelier featuring 115 bags, which gently rotated to reveal glimpses of the limited editions metallic products, that were hidden in the design.